With mortgage rates still at historic lows, it’s more tempting than ever to either upgrade to a newer home or refinance an existing loan. But it’s anybody’s guess how long the rates will stay where they are, so now may be a great time to consider your options. Home buyers looking to get a new loan should be informed about the mortgage industry to lock in the lowest rate possible. Here are some tips to help you get started. A good rule of thumb is that your total housing payment, including taxes and insurance, should not exceed 30 percent of your pre-tax income. You should know the maximum amount you can spend before starting the mortgage approval process. Use a mortgage calculator to help you understand how much you can afford. Your offer will be more attractive to a seller if you’re already approved for a mortgage. It also can help you avoid any snafus heading into the closing process. Pre-approval isn’t binding, but it tells the seller that you are able to get a mortgage. Your down payment can range from 2.25 percent to 20 percent of the home’s purchase price. Creating a monthly budget can help you save the money you need for your down payment. If you can’t come up with 20 percent of the home’s purchase price, you might consider an FHA loan. Because the interest rate is one of the biggest factors in determining what your mortgage payment will be, it’s good to know where they’re heading, and they change almost daily. Credit scores and activity have a big impact on whether you’ll be approved for a new loan. A low credit score is a sure-fire way to prevent you from getting approved — many lenders require a minimum score of 680 before they’ll proceed. Be sure to pay your bills on time, and don’t cancel any of your existing credit cards or apply for new ones. Keep your credit card balances in a normal range. You don’t have to have a zero balance to get a loan, and sometimes paying off the entire amount due can do more harm than good. Loan officers like to see employment stability. Even if you have a new job lined up, it’s best to stay where you are until you close on your loan. Sometimes even accepting a new position with your current employers can stall the process. Underwriters take loan applications seriously, so don’t misrepresent your financial situation. They’re giving you a lot of money, after all. Know the difference between a 30-year fixed rate loan and an adjustable-rate mortgage. Fixed-rate loans are predictable while adjustable-rate mortgages can fluctuate. Mortgage lenders will want to see quite a few financial documents and having them organized will speed up the process of getting a loan. You should be able to provide at least your last two pay stubs, your most recent W-2 and your last two years of tax returns. You also should have your current bank and brokerage statements. Your lender may have additional requests for financial documents, and you should respond to these requests as quickly as you can. Taking too long could delay closing your loan. Avoid surprises by asking your real estate agent how much you can expect to pay for utilities. If you’re moving into a larger house or an older house from a newer house, the bills could be significantly higher. The costs for document preparation, legal fees, and title insurance can vary. As your real estate agent and mortgage officer for recommendations. You’ll need your down payment and closing costs. Closing costs are generally about 3 percent of the total loan amount and include origination fees, title insurance and appraisal fees. You’ll still need to spend more money after you close on your home. Think about how much it will cost you to move, as well as unforeseen maintenance costs. If you’re buying a condo within a homeowners association, be sure to include the HOA dues in your budget. Buying real estate involves a certain amount of risk because values change over time. In a good market, the value is likely to go up. However, that’s not always the case, so planning to hang onto your house for several years is a good bet. 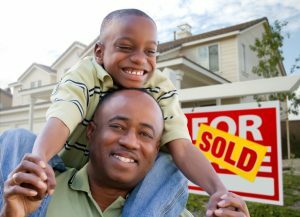 Do you have an existing house that you need to sell before you buy a new one? Selling your home can be very stressful and unpredictable. If you want to avoid the anxiety of wondering when or if it will ever close, then consider selling it to one of those companies that buy houses and then you can lock down a set closing date while still getting a fair price.